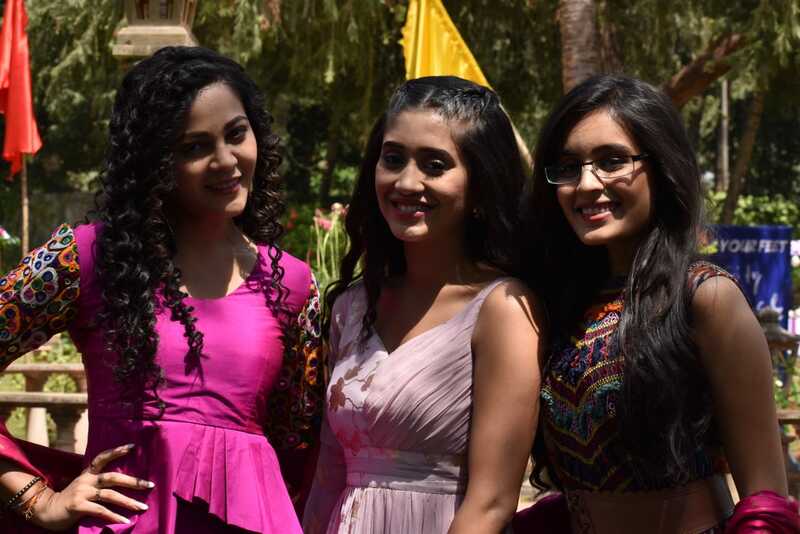 The girls from Ye Rishtey Hai Pyar Ke Rhea Sharma (Misti) and Kaveri Priyam (Kuhu) were seen bonding with Shivangi Joshi (Naira) during the integration sequence. Kaveri says, “I am proud to be associated with Director’s Kut family. They have given successful artists to the industry and all actors bond very well. I have seen Ye Ristha Kya Kehlata Hai and when I met Shivangi on the first day of the shoot we bonded as if we already know each other since a long time. Naira is a sweetheart The integration sequence feedback is very good. I am sure audiences will give Ye Risthe Hai Pyar Ke also lot of love. I and Rhea also bond very well. Rajan Shahi is one producer who is on the wish list of every TV actor. The set atmosphere is like one happy family. I attended the Havan’s too which is quite a tradition with DKP (Director’s Kut Productions). On my next schedule I will take some tips too from Naira as she is associated with the longest running show on TV”. Well Rajan Shahi is a star maker and we are sure Ye Risthe Hai Pyar Ke will also create magic from 18th March on Star Plus.